The question of when, and how, to introduce your new partner to your child or children is a complicated one. As a Christian single parent, dating is one step closer to being in a committed, monogamous relationship with someone, and hopefully, finding yourselves in a peaceful, happy marriage. When kids are involved, you must be sensitive to and respectful of their feelings when it comes time to introducing them to your new partner. When Is The Right Time To Make Introductions? The ages of the children. Sometimes younger children can bond more easily to new people. Pre-teens and teens can have more difficult times. How much time has elapsed since the break-up? If your marriage split up recently, you can assume that your child or children are still feeling a bit tender. If many years have passed, or there was never a relationship to begin with, it may be easier for your kids to accept a new person in their lives. What is the child’s relationship like with the opposite parent? Is the other parent involved in the child’s life? If so, to what degree? Are they involved in your online dating quest? What are their attitudes like? Are they supportive? There are children who are extremely supportive of their parent finding a spouse. Some children, usually older ones, are very pro Christians dating after a divorce. Do the children know that you are seeing someone? If the kids are aware that you have met someone and it’s getting serious, then you are one step closer to being able to make introductions. If not, introduce them to the idea of your new partner. The conversation should be in private. Some parents feel it is better for their children to have this discussion one on one with their parent, and not as a group together with their siblings. 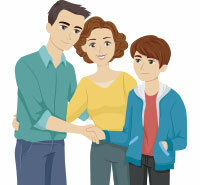 Reassure them that a new partner does not replace their other parent or take away their time with you. Let your children know you are open to hearing their feedback, concerns, or questions. Make the first meeting a short, sweet, neutral encounter with a pleasant interaction. The child’s own home is just a little too close for comfort. A fun, pleasant place can go a long way towards helping your child feel at ease. A group setting can be more comfortable at first than one on one. Some ideal locations may be a picnic or a walk in the park, a trip to a museum or zoo, a casual restaurant, sports event, or performance of theater or music. Avoid physical intimacy in your child’s presence. Even hand holding could make kids feel uncomfortable - so just hold off. If there is something your partner should know about your child, brief them ahead of time so they can be sensitive about how to interact with your child. A new relationship will likely form naturally between the child and your new partner. Remember to allow them time to go at their own pace. 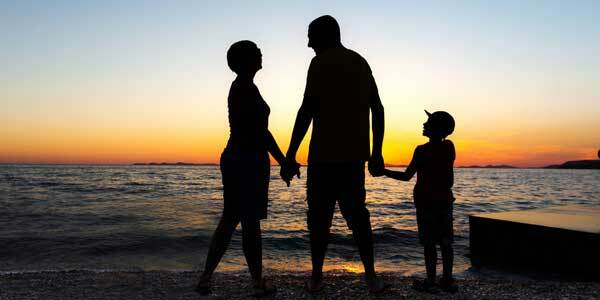 It’s not easy to be a Christian single parent dating, it’s a challenging process. However, with sensitivity and some thought, strong, lasting relationships can blossom and endure for life. It’s a good idea to check some high ranking dating sites like ChristianMingle or match.com, which often have tips and valuable information about how to overcome these common hurdles in the dating process. Are you a Christian dating after divorce? Haven’t yet met someone whom you’d like to introduce to your kids? Don’t despair! Try Zoosk, winner of Online Dating’s Most Innovative Award of 2015!